Welcome to patch 4.18. 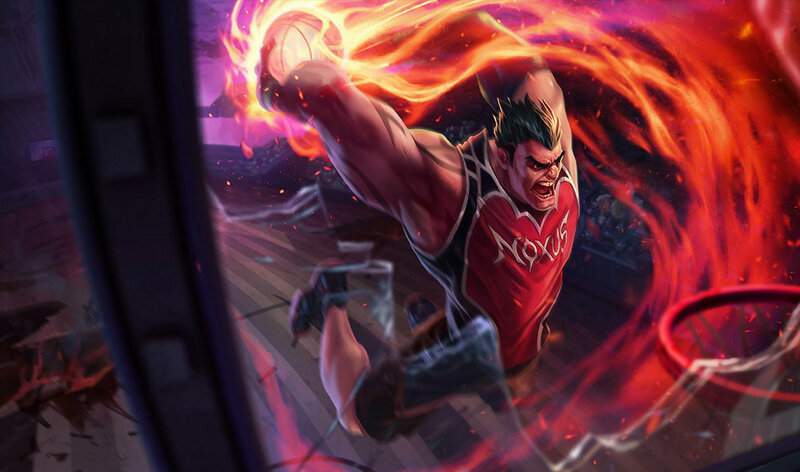 While we don't have a lot of balance changes this patch, 4.18 is the launch date of one of our largest champion updates to date: Sion, the Undead Juggernaut. Be sure to check out his champion reveal page here, or just try him out in-game when he launches! But please, for the sake of you and your teammates' sanity, maybe play a few normal games with him before you queue up for ranked. I get the feeling many of you won't listen, but at least I've had my say. Also of note within 4.18 is a whole pile of bugfixes for Azir (sorry! ), a GANGPLANK BUFF! ?, the removal of Pando Media Booster, a Smart Ping volume slider (look at this new audio technology we can implement! ), and phase 2 of our mass champion texture rebalance! 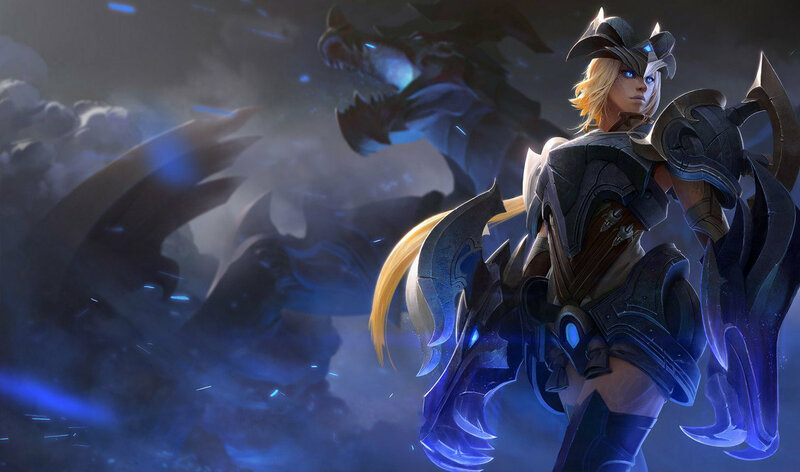 You can think of this patch as more of a small maintenance update as we look forward to the World Championships in Korea and the future of competitive League of Legends. Definitely some bigger things to come in the future, so stay tuned! P.S. Same deal this patch about there being larger than usual downloads. We're shipping pieces of the updated Summoner's Rift as we finish them but, once again, they won't be available to play! Sion, the Undead Juggernaut, will be released with the launch of 4.18. Check out his reveal for gameplay info, his insights article for a look at his development, or his teaser for a glimpse into his story. No more bonus resistances when Akali is in her shroud, but now whenever she stealths she gets a significant movement speed boost. Akali's one of those champions who, when she gets ahead, completely circumvents her meaningful weaknesses by having extra resistances from Twilight Shroud. A fed Akali ultimately turns into a bruiser-assassin Akali who hops into a fight, tanks out damage in Twilight Shroud, and then continues to obliterate the squishies. Rather than removing her defensive mechanics completely, we wanted to focus Akali's skills on more ninja-y things, hence the heavier focus on sneaking and agility. This also allows us to reinforce the proper counterplay to Akali (reveal her in stealth and beat her up), give her better themed mechanics, all while reiterating her focus on opportunistic assassinations. Up front: this is meant to be an overall nerf, but we hope Akali players will be more focused on the cool plays they can make with this new mechanic. 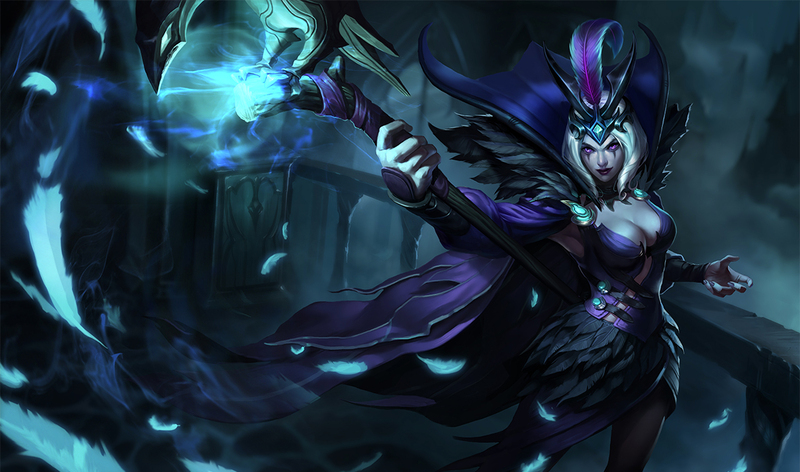 We're hoping to give some extra love for new players picking up Anivia, as they'll have a clearer understanding of how to use this cool chick. So many bug fixes. Also some small buffs to Azir's base attack damage and attack speed. Gauging a new champion's release strength has traditionally been a difficult task, given we have to account for player learning curves, the landscape of the game and, in Azir's case, how that champion's ability coding holds up in millions of unique games (and game interactions). All of the above also plays into the next steps we need to take in helping (or toning down) that champion. With Azir, we saw some small changes we could take to help out his laning phase, but we're going to take it easier on anything larger until these fixes go through. NO SUN FOR YOU Fixed a bug where other players were able to target the Sun Disc interactive clicker with abilities (e.g. Lee Sin's Safeguard) or were told they could click on it and then couldn't and then became sad. PRETTY SIGNIFICANT BUFF FIX Fixed a bug where multiple soldiers attacking multiple targets would often lead to soldiers incorrectly applying reduced damage. Reiterating here: this is a pretty big 'buff' fix. READY TO GO Fixed a bug where pressing E immediately after pressing W would occasionally not work. Feel free to W+E away now (or try W+Q+E for an even cooler combo)! SOON We're aware of a bug where Azir's Sun Disc currently does not ramp up in damage. We'll be fixing this in patch 4.19. See above. We're trying to give him some extra love so he can keep up in a modern game of League of Legends. Cannon Barrage now deals full damage in waves to everyone within the zone, rather than randomly dropping cannonballs on heads. Real talk: this change doesn't do everything for Gangplank in the long-term, but a consistency pass on Cannon Barrage was one we saw we could do in a self-contained change without fundamentally altering GP's playstyle. IT'S HARD TO AIM A CANNON Cannonballs now fall in waves that damage the whole zone once per second. Individual cannonballs no longer have individual damage zones. While it's true that Kha'Zix has been a tough bug to balance, we wanted to talk about our approach with him. If you're not interested in a long Kha'Zix context for a single change, feel free to move on. WARNING: this discussion's going to get a little complicated! It's tough to justify a champion being 'too weak' if they continue to be a high-priority pick in games where strength and reliability are the most important traits. Final reassurance though: we do think Kha'Zix's play patterns are fairly healthy overall, so we're not planning to make any major changes in either direction, we just wanted to explain some of our thought processes as we work. Occasionally relenting pursuit. This will have been the third time we've made a joke regarding Relentless Pursuit and no apologies will be made at this point in time. When we originally re-balanced Lucian back in patch 4.12, we were actually concerned with him being too weak in the laning phase (hah), and so gave him compensatory buffs to keep up. Since then, however, Lucian's gone on to be a premiere lane bully with access to a pretty solid late game as well. These changes should make Lucian think a little more about that aggressiveness in lane. Still not renaming it. Maybe in a future patch. Foot stab? Rapid Fire gives a smaller but more powerful buff in the late game. Tristana gets less attack speed per level. Apologies if we're repeating the same thing from 4.17 but we're looking for ways to give Tristana more moments of weakness. As another repeat: while these changes may not completely address that goal, we're hoping that by making Trist more dependent on Rapid Fire to deal damage, there will be clearer windows to engage or disengage against her. As hypercarry swordsman, Yasuo should make early game tradeoffs for opponents to capitalize on before he grows to his late potential. Right now, that isn't quite the case as Yasuo's quite strong in the early game, even in unfavorable matchups, in addition to scaling extremely well. These changes are to more specifically highlight Yasuo's early weaknesses, including being squishier if his passive isn't up and, more importantly, being more vulnerable to ganks if he's pushed up and doesn't have minions to dash through for his retreat. We'll be keeping a close eye on Yasuo with these changes, however, as having an early game weakness will almost certainly have an impact on his late game reliability. We're continuing our comprehensive pass at the game's older character textures. Our goal is to improve parity with newer releases and make sure everybody looks at home on the Rift as its style and color palette continue to evolve. As we've mentioned previously, the splash art team is engaged in a long-term effort to update our oldest base splashes. A few more are ready to go this patch! With hypercarry marksmen running rampant in the mid to late game, we're returning a little more power to Randuin's Omen to give tanky dudes better itemization choices when fighting back. Our next featured game mode, Hexakill: Twisted Treeline, will be released later this patch! In-game announcements received a visual update back in 4.16. We've read through your feedback and are making a number of tweaks and improvements aimed at making announcements cleaner and less intrusive. For clarity. EVEN MORE CLARITY Summoner names have been removed from some announcements for brevity. Killing spree callouts retain them for bragging purposes. With our new audio engine up and running, we gained the ability to tie a lot of existing audio effects to new volume sliders. We're implementing a slider for ambient sounds, as well as the often-requested ping slider. 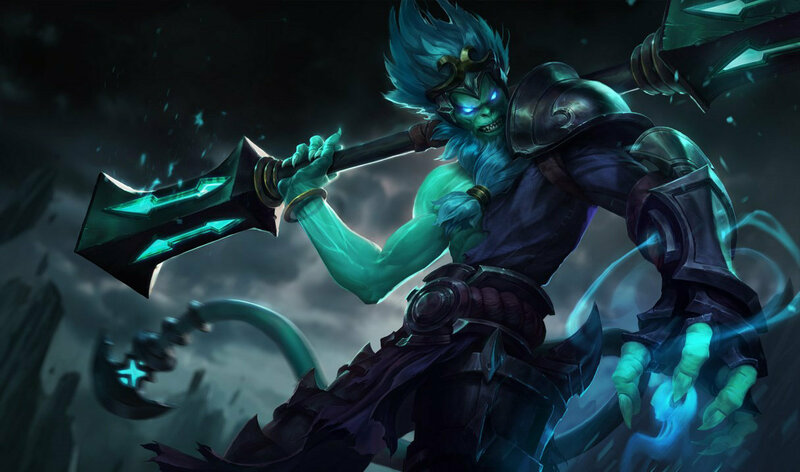 These new options are meant to give players more control over their audio experience in League of Legends." As we discussed a few weeks back, we’re removing Pando Media Booster from the installer and patcher this patch. Don’t know what we’re talking about? Pando is a defunct 3rd party peer-to-peer service we previously used to help players download new files faster. If Pando Media Booster is on your computer, you’ll see a popup once you launch League of Legends that’ll prompt you to remove Pando from your computer with a single click. We no longer use Pando’s services in our releases, so we recommend removing it. (Fixed during 4.17) Resolved a significant source of crashes introduced last patch which predominantly affected Mac players. This won't solve every crash, but we remain committed to fixing as many issues as possible in every patch. A lot of Azir fixes. Head back up to his section for the full list!